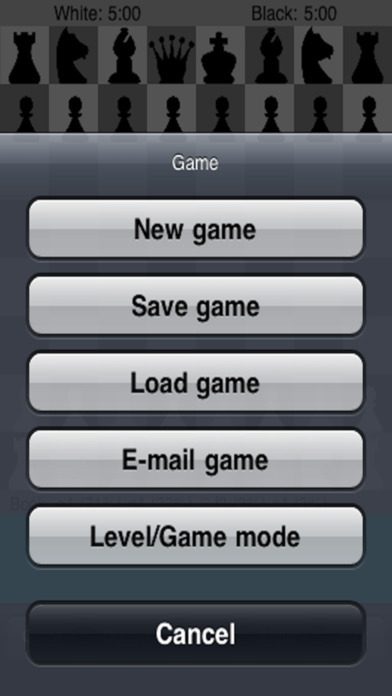 The Chess Champ is a feature rich, highly competitive chess game engine designed for the iPhone and iPod Touch users. You don't have to be a Chess Master to play The Chess Champ. It is designed for all ages and all levels of play, from the youngster learning for the first time to a well seasoned chess veteran. 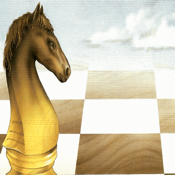 Play against a friend or play against The Chess Champ, either way you will be very entertained. * Play as either Black or White. * Play against computer or play against a friend. * Email the board layout of a game in progress to your friend. * Play in Analysis Mode. * Move scenarios for each piece. * Set move per seconds for computer. * Choose up to 6 different chess pieces. * Choose 5 different board color. * 3 Levels of Book Variety. * Computer strength from 0 - 100. 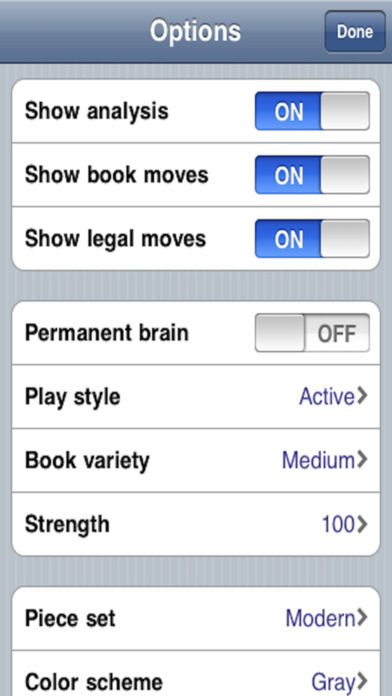 Works with iPhone or iTouch uisng OS 6.0 and greater.